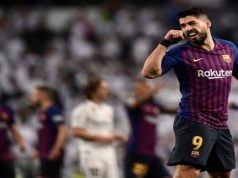 Real Madrid are level on points with Barcelona and Atletico de Madrid as the three-way battle at the top of La Liga continues after Los Blancos saw off Getafe. 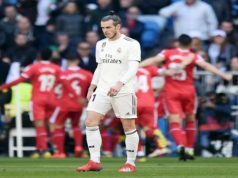 Jese Rodriguez starred once again, netting the opening goal after just five minutes to set Carlo Ancelotti’s men on their way, before Karim Benzema doubled their lead just before the half hour mark. 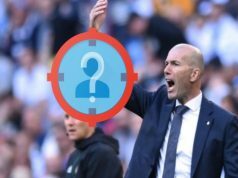 Los Blancos were unchanged from their previous league outing against Villarreal last weekend, with Jese, Bale and Benzema forming the front three. And they got of to a spectacular start when the Welshmen teed up Jese, who curled home from the left hand side of the area. The hosts took some time to settle after conceding so early, but eventually grew into the game. Their best chance came on 23 minutes when Los Blancos defender Pepe slipped, allowing Adrian Colunga through on goal. Luckily for Real, the Portugal international recovered just in time to put in a last ditch tackle. Minutes later, Benzema doubled the visitors’ lead, coverting Angel di Maria’s cross after Real had broken away having cleared a Getafe corner. The hosts never really created any real chances and Madrid scored a third on 66 minutes through Luka Modric. Picking the ball up 25 yards out, he unleashed an unstoppable effort past the home goalkeeper to guarantee the three points for the nine-time European Cup winners. It was similar to the sensational effort he scored against Manchester United in last year’s Champions League campaign. As the clock was ticking down, Ancelotti used the opportunity to give some vital playing time to some of the fringe players in the team, such as Casemiro, Isco and Asier Illarramendi and give Karim Benzema, Luka Modric and Angel di Maria a breather ahead of sterner tests to come.